The current collection presents 175 Snow White fairy tales or versions of it from all over the world – Europe, Asia, Africa and America. The book is a journey in time and space, containing both oral and literal Snow White tales and their treatments. The book includes three versions of Schneewittchen/Schneeweißchen (Snow White) tales by the Brothers Grimm, pre-Grimm tales and Wnow White tales collected and written after the Brothers Grimm. 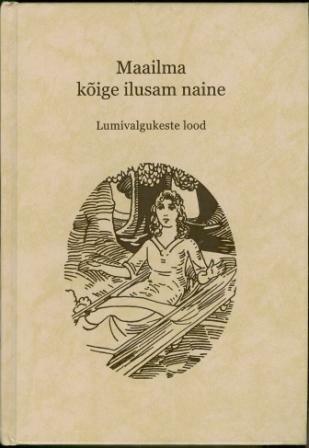 Estonian and Latvian tales are here as well, and the literary treatments by Estonian authors (August Kitzberg, Helmi Põld and Paul-Erik Rummo). A small selection of tales connected with Snow White fairy tales has been added, too, such as the Grimms’ Dornröschen (Sleeping Beauty), Der undankbare Zwerg (The Thankless Dwarf) by Karoline Stahl who is buried at raadi cemetry in Tartu, Schneeweißchen und Rosenroth (Snow-White and Rose-Red) created by the Brothers Grimm on the basis of that story, and a Palestinian Arab cinderella-tale Thaljìyeh (Snowmaiden). The Grimms published the Snow White story in 1812 in the first print of their comprehensive fairy tale collection Kinder- und Hausmärchen (Children’s and Household Tales). For each new print, they re-edited the texts of their fairy tales, as the parents, schoolteachers and the clergy criticised the stories for their violence. For example, the evil and godless mother was replaced by the evil and godless stepmother. Fairy tales are classified into types and recurrent motifs are given motif numbers. According to Aarne–Thompson–Uther classification system, the Snow White fairy tale belongs to type ATU 709. The prototype of this fairy tale is the Brothers Grimm Snow White, which has another number, KHM 53, in the Grimms’ fairy tale collection Kinder- und Hausmärchen. A significant motif in Snow White tales is jealousy. Various people can be jealousy: mother and stepmother, more rarely father, but frequently stepsisters or sisters-in-law, a neighbour or two, slave or schoolteacher. It is important in the tale that the heroine (a child) is taken to a dark forest where her life is spared in the hope or fear that wild animals would eat her anyway. Fairy tales in this collection have been translated from Belarusian, Dutch, English, French, German, Greek, Italian, Karelian, Latin, Livonian, Low German, Malay, Old Icelandic, Polish, Portuguese, Russian and Spanish.